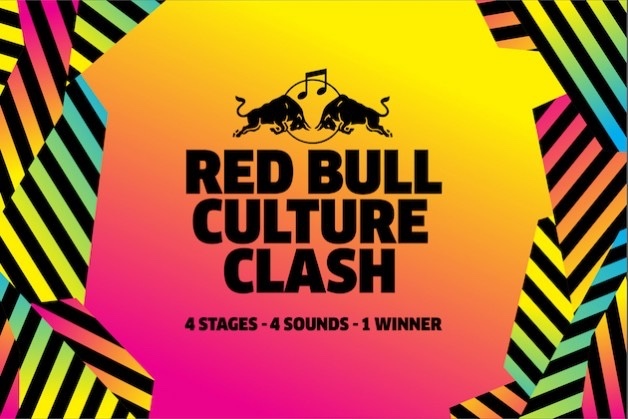 Red Bull Culture Clash, the ground-breaking live music concept created by Red Bull Music Academy, is set to take the UK by storm once again with a formidable return in 2016. Following almighty success in 2014, this year sees clashes in three of the UK’s leading music cities, London, Manchester and Bristol. Red Bull Culture Clash 2016 kicks off in Bristol on Friday 4th March at The Passenger Shed commencing this series of three nights of unparalleled music. These unmissable shows will play host to unique line-ups of legendary and emerging bass talent going head-to-head, track-to-track, setting the pace for the London finale on Friday 17th Juneat the capital’s ExCel. Back for its biggest global outing yet, and its fifth instalment in London, the hugely anticipated musical showdown will see four new heavyweight sound systems battle for the coveted Red Bull Culture Clash crown in front of an awe-inspiring 30,000 fans. With a history of challengers including Boy Better Know, Major Lazer, A$AP Mob, Annie Mac Presents, Stone Love and previous winners Rebel Sound (comprised of David Rodigan MBE, Chase & Status and Shy FX), as well as past surprise guests such as Usher, Rita Ora, Disclosure, Example and Stormzy, this year’s clash is poised to be another thriller in front of a record Culture Clash crowd. With it’s roots in Jamaican soundclash culture, each event sees competing collectives go head-to-head over four rounds, utilising their biggest tunes, freshly cut dubs, special guests, performances and surprises to win over the crowd and walk away as champion. All crew line-ups will be announced in the coming weeks with Red Bull Music Academy calling in some of the most diverse and influential names in music around the world. Tagged 2016, bristol, bristol music, Kevin Mcgough, music, october, Red Bull Culture Clash, red bull music academy, the fix, the fix magazine, The Passenger Shed. Bookmark the permalink.